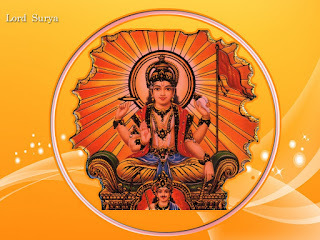 Sun entered in Libra sign. Sun is very weak in this sign. Sun is alone in this sign. Also, Jupiter and Shani are in center. Sun is alone but it is very near to its associates. Aries: You should take of your health. Do not get anger and create problem in relations. Donate jaggery and wheat on Sundays. Taurus: One might face eyes and bones problem. One might change their job. It is beneficial to do fast on Sunday. Gemini: One might get success in career. Take care of children’s health. Chant Sun hymn every morning. Cancer: One might face problems in marital life and business. Avoid long journeys. You can do fast on Sundays. Wear copper ring. Leo: You might face stomach and urine problems. Do not create conflicts with superior. Donate jaggery and red clothes on Sunday. Virgo: Your father’s health might get disturb. You might relocate your job. Do not get angry. Offer water to the Sun. Libra: Your relations with colleagues might get disturbed. You might face eye problem. Chant Sun hymn. Scorpio: One might face problems in career. Take control over your speech and anger. Offer water mixing turmeric to the Sun. Sagittarius: You might face financial losses. Relations with superior might get disturbed. Do not wear red color clothes. Give respect to your father. Capricorn: Avoid losses in job and business. You might meet with sudden accident. Regularly chant Aaditya Hriday Strot. Aquarius: You might face problem in social life and love relationship. Do not try for progeny. Offer water mixing rolli to the Sun every morning. Pisces: Your health will improve. Courage will increase. Do not take any decision in job. Offer water mixing rolli to the Sun every morning. Remedy: Do not keep utensils in cupboard. Luck will decrease. It also reduces prosperity in the home.